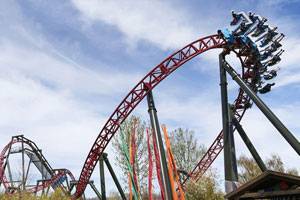 Ready for speed, thrills and fun for all the family? Then look forward to experiencing Denmark's biggest roller coasters, the huge Aqua Park and more than 60 rides for kids of all ages. 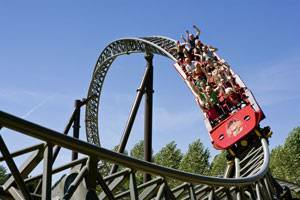 Come and see for yourself why Djurs Sommerland was voted the best summerland in Scandinavia four years running. 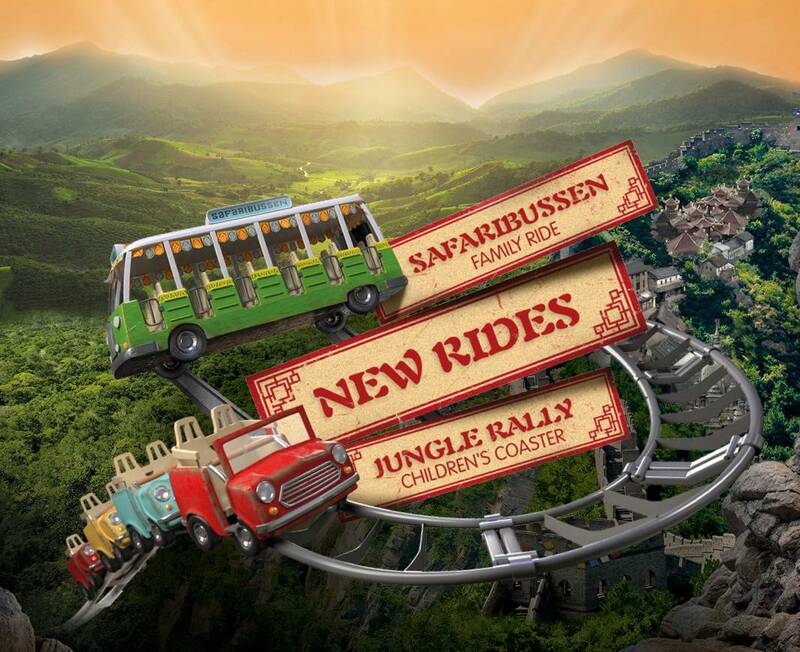 Jump aboard the Safaribussen for a fun-filled bus ride through the jungle. But hold on tight, as the tour is full of surprises. 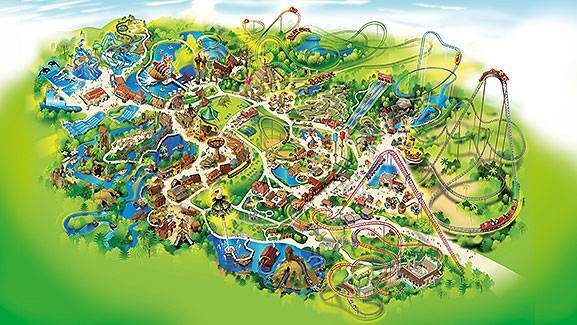 Jump off at Jungle Rally, where thrill-seeking children can enjoy an exciting ride with the whole family in the brand-new children's coaster. The new DrageKongen is guaranteed to take your breath away, as you dive down at 85 km/h from 30 metres up. 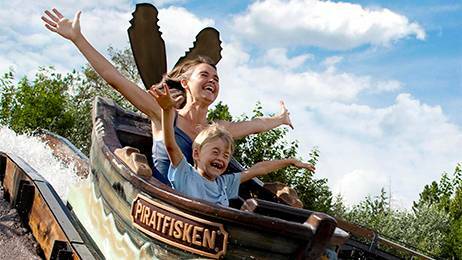 More world-class adrenaline rushes await you, when you are launched at up to 85 km/h around Denmark's longest roller coaster Juvelen, and hurtle down from a height of 32 metres at 90 km/h in Piraten. 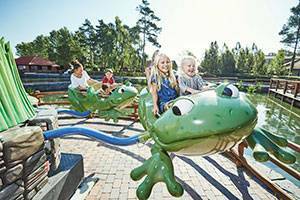 Bondegårdsland has 10 exciting rides for everyone. Try a free-fall from the water towers or fly along the roller coaster in a flurry of chicken feathers. With more than 60 rides, time just flies by. But don't forget to visit the huge Aqua Park. 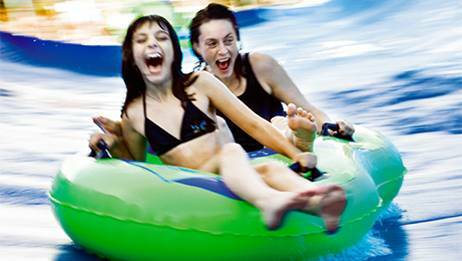 Enjoy the sun by the water's edge or at full speed on one of the many water slides.